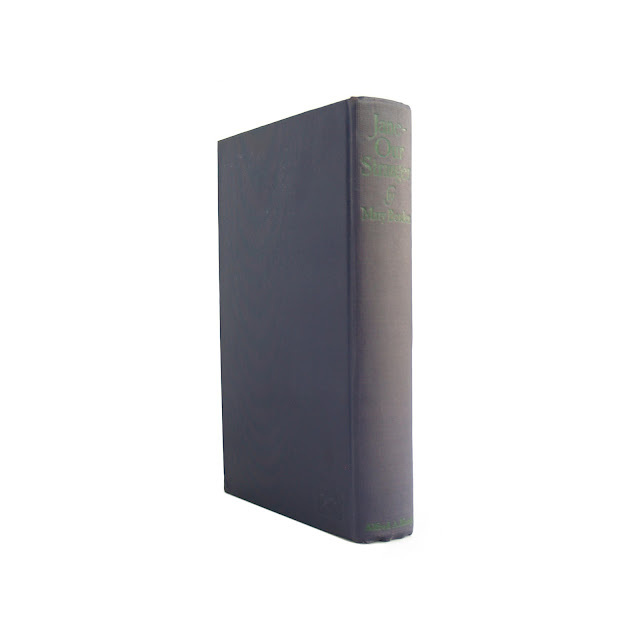 This antique hardcover book is bound in dark purple cloth boards with green spine lettering and green cover decorations. 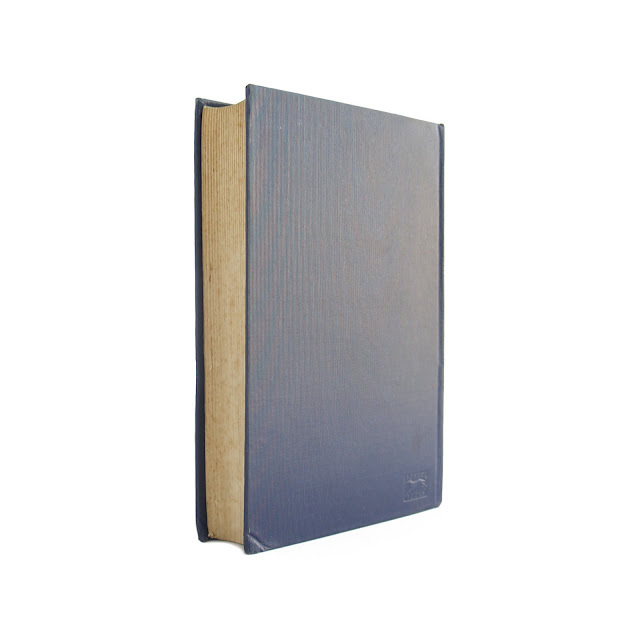 Book is in good condition with tanned pages, faded spine, wear, and soil. Corners and some edges slightly bumped. 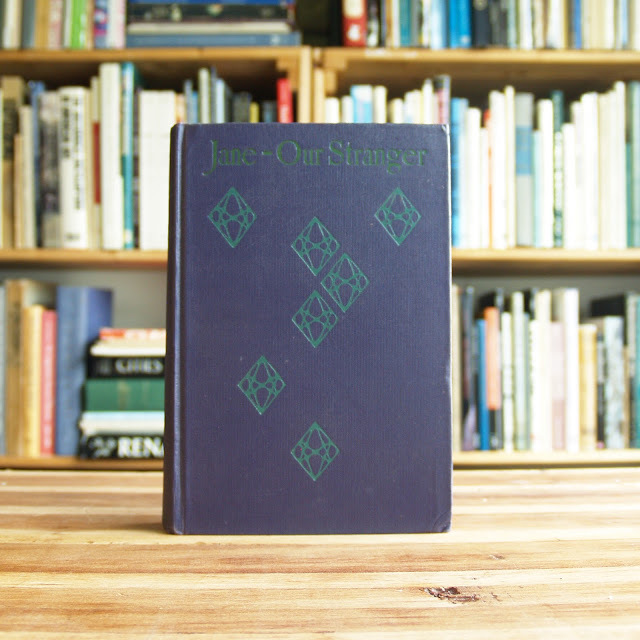 Endpapers have charming printed pattern in dark purple and green on a pale green background. The novel is set in pre-War Paris and tells the story of an American woman who marries a Frenchman, only to flee back to America to hide her secret from her new family and friends. 353 pages; approx. 5"x8".